Artificial intelligence is a science friction for over years in the technology world and it is taking its real form as machine learning or deep learning. The neurons and the neural networks help to process the information and perform the complex functions. Technology is changing the lifestyle and the business in a variety of ways. Artificial intelligence is bringing in changes in the form of automated transportation, anticipating the climatic changes, improved support from the robot, changes in the job industry, and changes in the software industry. 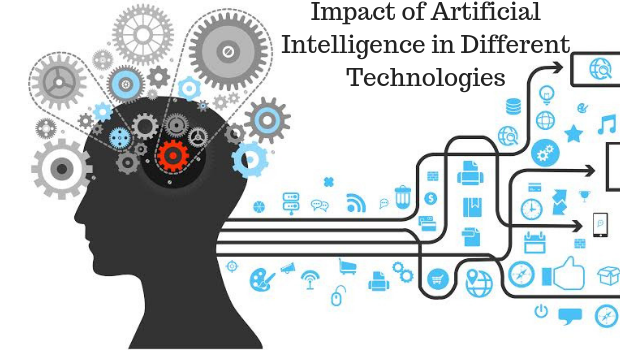 Let me discuss in detail about the impact of Artificial intelligence in different technologies. Netflix is the famous application which uses the machine learning technique to satisfy the customers. The content in the Netflix app is divided with some logic like the genre, actors, reviews, length and more. The machine learning algorithms at Netflix analyze the user’s actions. The personalized content made Netflix the best streaming company. Netflix transformed into a global streaming service from a DVD rental website. Linear regression, logistic regression, and other machine learning algorithms are some of the machine learning algorithms used in Netflix Company. Google maps use the Artificial Intelligence for providing information to their viewers. If the customers want the details of the parking location then the standard logistic regression model is used to collect the information. In the directions card, the find parking tab shows the parking spots near the destination where we search. AI is used as the natural language or visual interfaces to improve the rapid prototyping. The documentation and the debugging code become easy with the help of the machine learning. The smart programming assistant provides the relevant document, best practices and example of the code with the examples. Error handling part in the coding becomes easy as it analysis the past experiences automatically and flag them automatically. Long-term maintenance and team collaboration are possible only with the help of clean code. The code refactoring helps to improve the performance. Better project management is possible with the help of the machine learning. Machine learning provides the precise estimates of the cost and time for the project. Help for the decision making in a challenging environment. To decide about the project and the business the past records are analyzed and better decisions are arrived at. Provides smart search results through the internet. Many big companies like Apple, Google and Microsoft use the machine learning techniques to provide the search results. E-commerce mobile app with machine learning, sports forecast app with machine learning, healthcare apps with machine learning, finance apps with machine learning, restaurants app with machine learning, transportations app with machine learning, time management apps with machine learning, travel apps with machine learning, weather forecast apps with machine learning are some of the interesting mobile apps which makes the machine learning still more interesting to the business world. Machine learning is enlarging the business and improves the analysis in multiple domains. The self-driving cars are already into the circulation and initializing more changes in the form of automated transportation. In the year 2012, Google initialized a test car and following that the US Department of transportation has the plan to release different types of cars with automation. Using the big data and AI one can identify the trends and provide a solution to the world’s biggest problems. The better predictions for the bad or good weather report help majority of losses in times of emergencies. Artificial intelligence trains the robots about the human brain and the robots with the human emotions undertakes many activities which humans can only do. “Pepper” is the first robot invented by Japan. In the year 2015 within a minute, the “pepper” robot reached the highest selling units of 1000 units. Robots are taking over so many jobs like the welding, producing toxic substances, intense heat, and noisy works are integrated with robots for efficient work. One research says that around 47 percent of the US department is at risk because of the automation. The algorithmic bias is the flaws that happen without the human control in the process are the risk factor in using the artificial intelligence in all the domains. Some of the benefits of using the machine learning are it is easy to manage, backed with hardware support, the memory and the running time is constant, and a high degree of the portability. Recently companies with the security threats used the machine learning technology like logistic regression to identify the malicious website and to make the security process consistent multiple machine learning algorithms can be used.